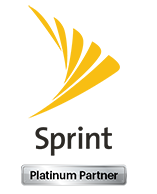 Since 2001, Wireless Innovations (WI) has been a Sprint Business Solution Partner. Offering new products and services to an already comprehensive suite of end to end solutions, Wireless Innovations’ industry focus expertise assists a company in providing more productivity enhancing wireless solutions that help improve employee efficiency, drive revenue and increase customer satisfaction. Wireless Innovations prides itself on the execution of large enterprise deployments. Our managed services portfolio follows a project from beginning to end. From front end integrated e-procurement solutions to back end policy management, these unique solutions include: OEM and Hardware solutions; wireline replacement/backup; wireless VOIP, Video Over 4G, SHIP (spares, handling, inventory, program), remote device control; mobile policy and expense management and helpdesk support. Once an overall solution has been determined, we begin with strategic planning sessions. These sessions enable us to fully understand your needs and what is most important to you. After the planning session, WI follows up with a detailed process document which outlines every step of the deployment as well as who the lead manager of that deployment will be. Once the team has reviewed and signed off on the process, WI handles the logistics of the devices. This includes development of an online ordering portal, with an automated approval process (if needed), as well as staging, configuration, testing and kitting for the entire solution. We also can add name, cost center, department groups and asset tags to the device, as well as include customized instructions and collateral inserts to the package. To ensure your deployment runs smoothly, WI has a quality assurance program which checks the order every step of the way. Visibility into your deployment schedule and device shipments are important factors. WI offers their customers an online portal where the orders’ shipping and tracking information is readily available, so at anytime you can check in on a device or group of devices. Lastly, WI values their customers and provides them with white glove support service. WI’s educated tenured support staff handles every account with urgency and care, and supports each customer with their unique needs. Wireless Innovations customers love the dedicated support that WI offers - another reason why customers have remained with Wireless Innovations for over 10 years! These unique solutions can provide your company with a cutting edge solution keeping you ahead of your competition. WI can manage and tailor any wireless solution to a particular industry to solve your company needs and help manage the wireless solution from end to end. With over 40+ years of experience in corporate marketing and strategic alliances, 25 of those years being in Telecom, Tom a co-founder of WI currently oversees the operations, engineering and value added services departments for WI. His experience in telecom has assisted him in growing the WI managed services portfolio focusing on cutting edge services and solutions. His understanding of the needs of the business customer and knowledge in the wireless industry has been a key to success for the customer and Wireless Innovations. Jack has overseen a direct sales-force of 40+ people and has managed a National Indirect Channel with over 200 points of distribution. He brings over 30 years of telecom and wireless experience to the table. He works closely with customers to develop and implement their unique wireless solution. Jack is one of the co-founders of WI, he has a successful management style that achieves hitting sales targets and goals while always putting the customer first. He manages the Sales and Marketing team at Wireless Innovations. With over 20+ years of wireless marketing and sales experience, 8 of those years at Sprint managing field marketing business teams in the Northeast and Midwest regions, Susan currently manages a marketing team that focuses on driving and executing new solutions, products and marketing material that help companies increase productivity and improve customer satisfaction. Additionally, she manages the execution of online tools including employee and corporate sites, as well as shipping and tracking reports. Mike comes to us from Sprint where he spent 16 years as the Director of Business Sales in the NYC Area. Most recently, Mike was assigned as the Regional President for the Philly Tri-State Sales organization for Sprint where he was in charge of all sales and distribution both consumer and business. Mike is an enthusiastic and energetic leader, and has demonstrated how he will move quickly in assembling a dynamic dealer organization. He takes a hands-on approach and stays extremely engaged with all aspects of the business.